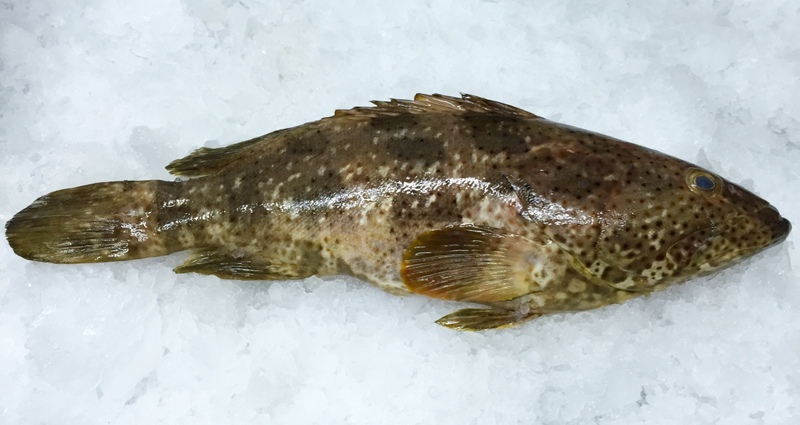 Learn about the grouper fish facts here, a fish that becomes one of the most favorite seafood among chefs. This is one of many species that inhabit the Atlantic Ocean. The grouper can be varied in term of genera, sizes, colors, and types. Grouper which also known as ‘mero’ is belong to the one of the largest fish families: Serranidae (Sea Bass Family). One of the most popular grouper fish that often being caught and served in the restaurant is the red grouper type. There are other types as well, but they are available in limited amount since they are harvested in smaller number. However, you can still find them in grocery market if you are lucky: Snowy grouper, Yellow edge, Black, and Scamp grouper. The grouper fish can be found mostly in Florida and the Mid-Atlantic States. Other locations are Gulf of Mexico, South America, and Central America. One type of grouper fish which is Gag is often being marketed as the Black grouper. It is because they have really similar texture and taste. Both of these types of fishes are very suitable to be cooked in so many different cooking methods since they have moisture and high oil content. There are several interesting facts about grouper fish which you should know. First, they are varied in sizes. The biggest grouper fish is called goliath grouper which can reach 8 feet in size with 1,000 pounds weight. However they are caught for sporty fishing mostly and not recommended for consuming since the amount of the mercury level is over than the recommended levels of human consumption. There are other smaller grouper that very suitable to be consumed such as red grouper type. 1. Grouper fish name is originally taken from Portuguese name: ‘garoupa’. Although in Australia, they use the word of ‘groper instead of grouper to mention several species. 2. The most know for eating, the red groupers are members of the Seabass family. They can be found in warm tropical sea water. 3. Grouper is not a fast swimmer; they are really slow when swimming. They like to live in deep water. 4. The red grouper is also become a popular choice among people who have health concern since grouper fish is not only delicious in flavor, but it also packed with healthy nutrition. 5. Just like any other fish, grouper contains a large amount of protein, minerals, and vitamins. 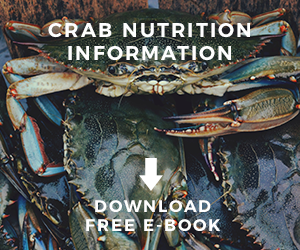 This fish contain no sugar and low amount of saturated fat. 6. Despite being the fish rich in protein, however, the grouper fish does not have that much omega-3 fatty acids. The level of omega-3 in grouper contain small amount of EPA and DHA. 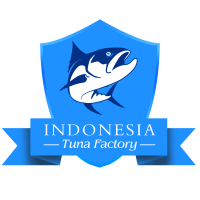 Their level of amount is not as nearly as omega-3 fatty acids that can be found in other fish like mackerel, salmon, and herring. 7. Grouper can also offer some toxin such as ciguatera. This ugly toxin can lead to neurological problems when a human ingest it. So, be careful when select, prepare, and serve the grouper. 8. Grouper is low in calories. A raw serving of grouper, about 3-ounce is only carry about 100 calories. Moreover, grouper contain no carbohydrates and this is why, you can add grouper in your lose weight diet. 9. 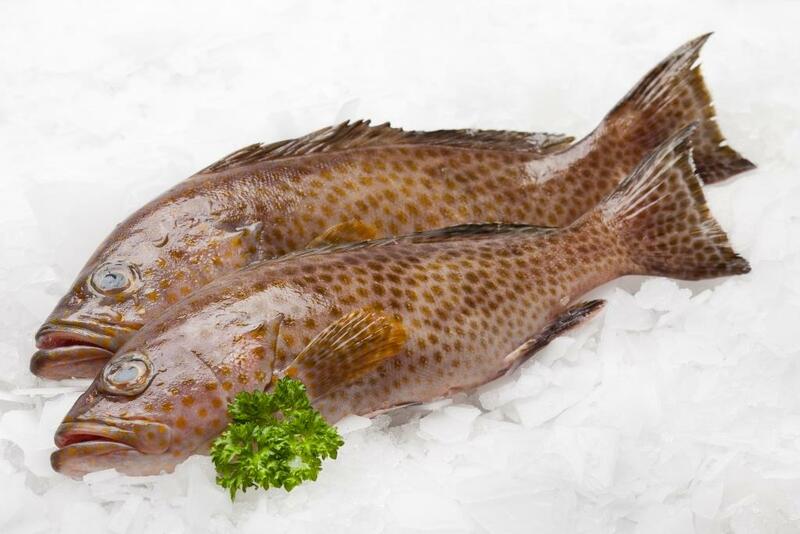 Grouper is considered to be one of the best fish to serve by many chefs! There are so many people compare the fish texture being like a cloud. 10. Grouper can live for up to 50 years! That’s ten interesting grouper fish facts which you need to understand. Grouper is an excellence source of protein, minerals, and vitamins. They are also low in calories without carbohydrate contain. This criteria alone proof that the grouper can be added to your weight lose diet. The protein in grouper can help to control your craving for foods. It will help to make your stomach feeling full for a longer time thanks to the nutritional value in the grouper fish. Grouper is not an easy fish to catch; they are amazing fish you can catch in sport fishing trips. Moreover, grouper fish has a mild and very unique flavor. Some people may call the flavor somewhat a cross between halibut and bass. 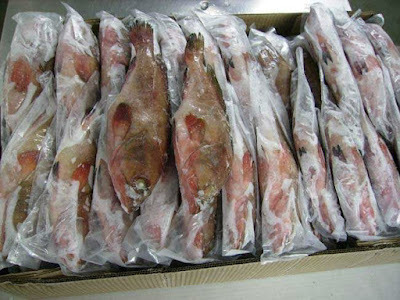 Meanwhile, the red grouper fish which is available in large amount than any other types of grouper has sweeter and milder flavor than Gag or Black grouper. Red grouper is also not as firm as both of the fish. This is why many chefs prefer to cook red grouper rather than Gag or Black grouper. · The two most favorite cooking methods to serve grouper are probably by frying and grilling it. Although you can cook them with other methods such as bake, broil, steam, poach, and sauté. They are excellent choice for chowders and soups. 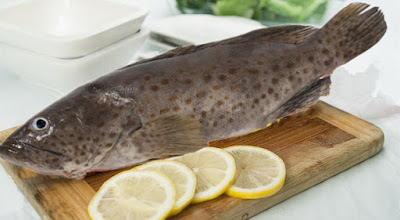 · When you want to broil or bake the grouper, you might need to baste it because grouper is leaner fish. · Two most favorite recipes to serve grouper are by making them as sandwich grouper and blackened grouper. Grouper sandwich is really popular in Southern parts of the United Sates as well as the blackened grouper. 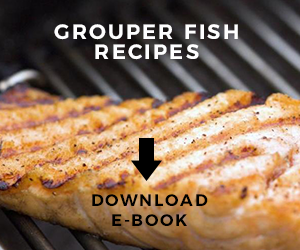 · Pay attention to the rule when you try to broil or bake the grouper. The rule of thumbs is to use oven temperature between 400-450 degrees Fahrenheit and to cook the fish for 10 minutes only for per inch of thickness. · When you fry the grouper fish, please take a note that the fish is done when the meat flakes easily when you check with fork and it also appear opaque. Do not overcook the fish. · When cooking grouper fillets, there are some notes you need to pay attention: just make sure to butterfly the fillets first when you want to grill them. This is needed particularly when you want to grill large size of fillets since they are too thick to be grilled. Those are important information regarding grouper fish facts and what you need to know when you want to prepare and cook this delicious fish. Is There Freshwater Grouper Species?